A Student Council is a representative structure for students only, through which they can become involved in the affairs of the school, working in partnership with school management, staff and parents for the benefit of the school and its students. StuCo seeks to provide a valuable leadership partnership between students and their school. It creates the opportunity for students to become effective leaders, thus encouraging and influencing a positive school climate. 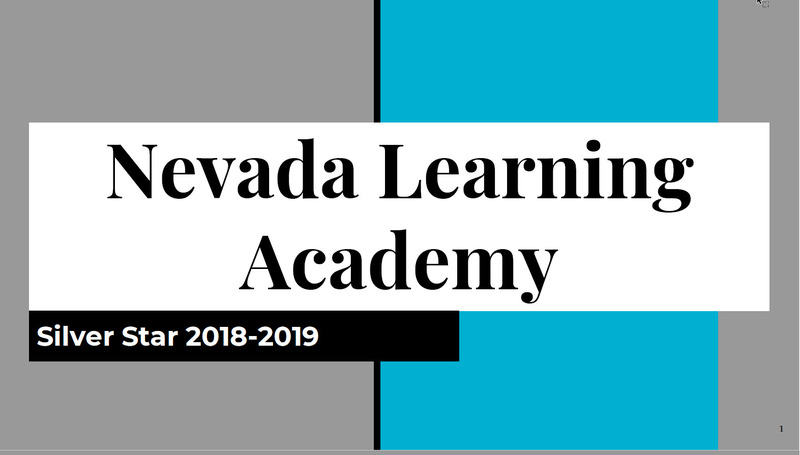 The Silver Star Award is the highest award that the Nevada Association of Student Councils offers. The key to earning this awards is through descriptive, extensive documentation. Congratulations to our Student Council on their hard work. You make a difference at our school. Look what we have done do far.